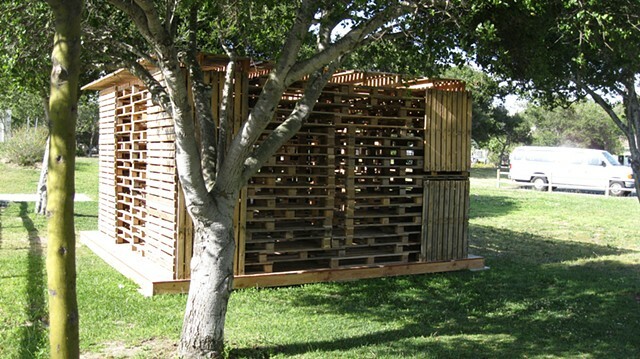 'Outpost' is a public project undertaken in my second year of graduate school at UC Santa Barbara. 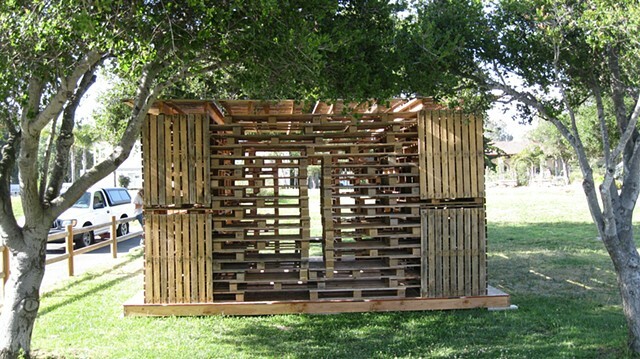 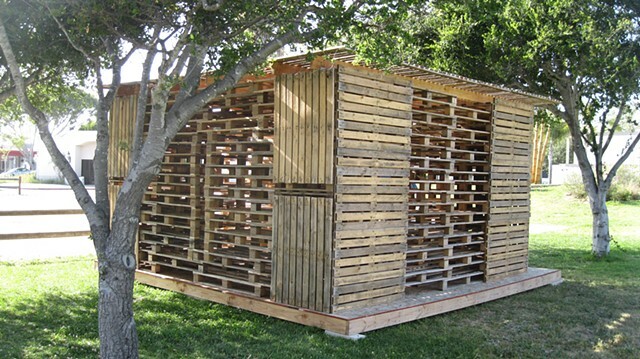 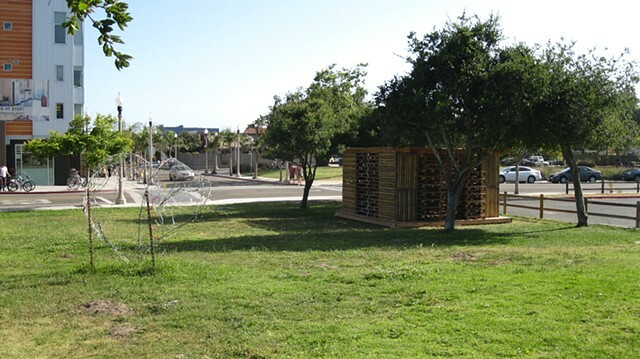 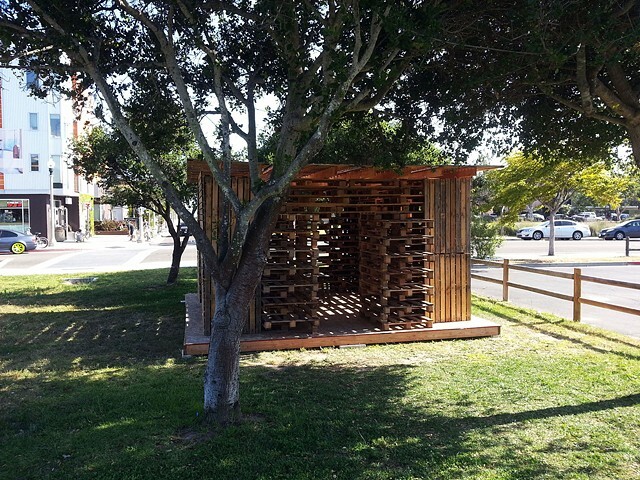 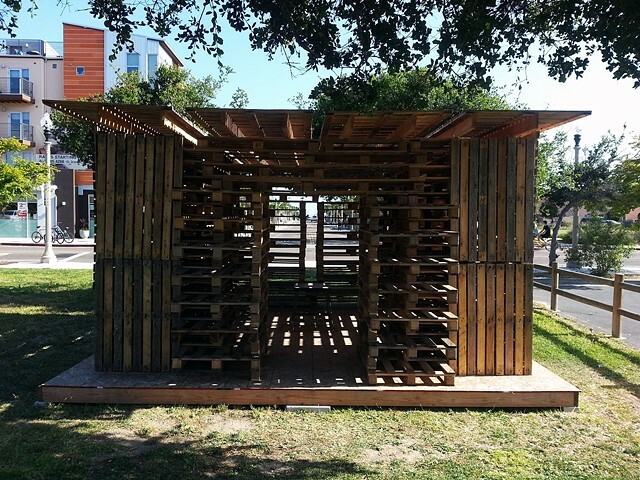 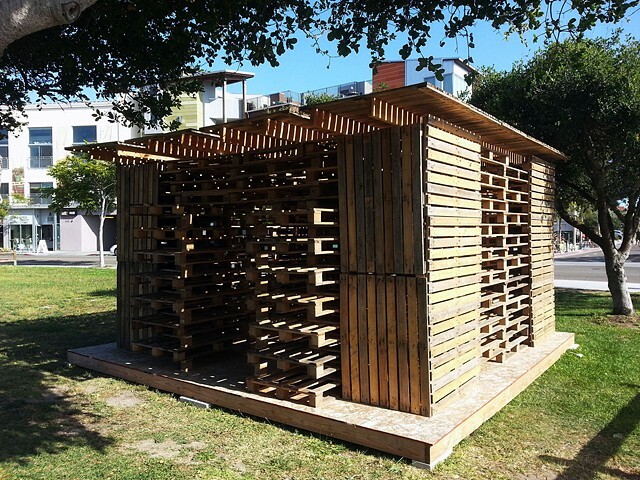 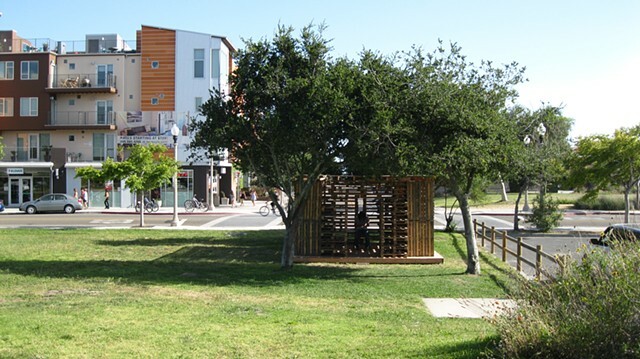 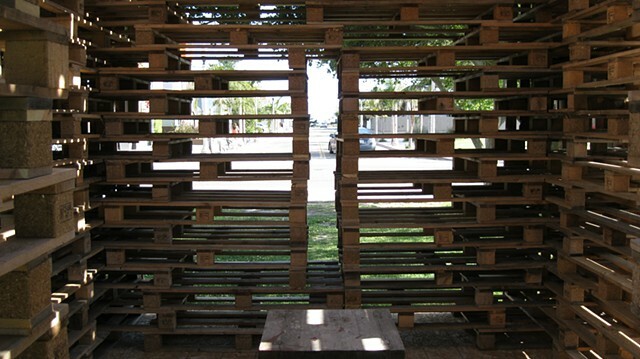 It took several months of planning and execution but finally 'Outpost,' a small cabin made from recycled pallets, stands in Perfect Park surrounded by trees in the community of Isla Vista, California. 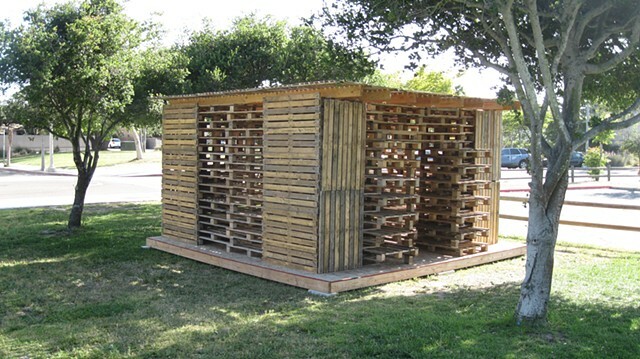 'Outpost' is oriented in the cardinal directions and facing South primarily to afford a small amount of solitude and a unique view of Channel Islands through a small 'window' in the back of the cabin. 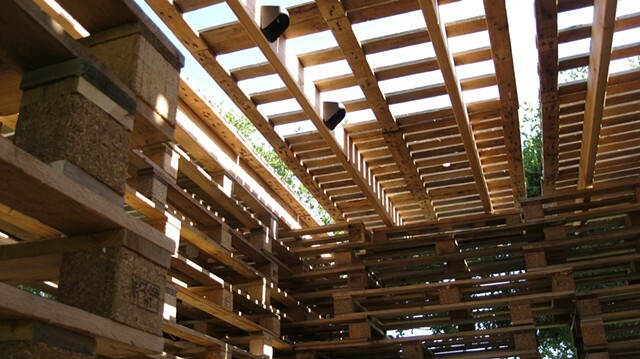 During the daylight hours the sun's shifting position changes the light inside the cabin drastically from stark in the middle of the day to dramatic in the evening. 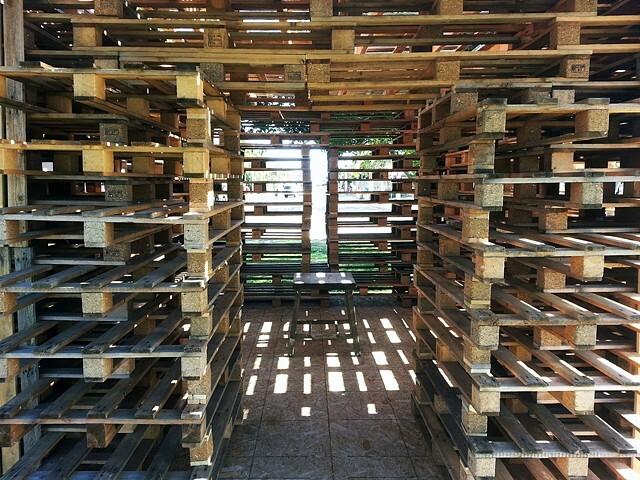 At night the inside is illuminated by four solar powered lights.